NYCHS is honored to be permitted to post this excerpts presentation of Mark Gado's Stone Upon Stone: Sing Sing Prison appearing on Court TV's Crime Library web site that retains all rights under its copyright. Visit Court TV's Crime Library web site to view the complete 16-chapter article, including more historical images, a useful bibliography and the full long list of New Rochelle Detective Gado's other articles on that site. Thanks also to the Ossining Historical Society for use of images from its archives. . . . . the most serious incident of escape at Sing Sing occurred on April 13, 1941. Joseph "Whitey" Riordan, 26, Charles McGale, 45, and John "Patch" Waters, 30, all convicted of armed robbery, were being held in Sing Sing's hospital up on the third floor. At 2:30 a.m., they decided to make their move. Brandishing several revolvers which were smuggled into the prison a few days before, they shot prison guard John Hartye, 55, twice in the back as he made his rounds through the prison ward. Another convict patient, McGowan Miller, who had nothing to do with the escape plan, witnessed the killing and suffered a fatal heart attack on the spot. The desperate trio then fled . . . through a steam tunnel that led out to the village streets. . . . accomplices [had] parked a getaway car at a pre-arranged location. 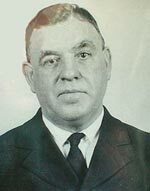 As Riordan and the others approached the car, two Ossining police officers, James Fagan and William Nelson came upon them by chance at the lower end of Main Street. . . . Suddenly Riordan . . . started shooting. The others pulled out their weapons and also opened fire on the officers. Both cops fired back and a running gun battle ensued. Two bullets went through Waters' head. He was killed immediately. Officer Fagan was shot in the heart while Riordan and McGale managed to get away. . .
Fagan was pronounced D.O.A. . . Meanwhile, Riordan and McGale ran over to the shores of the Hudson where they found a shad fisherman, Charles Rohr, getting ready to cast off for the day's fishing. The convicts . . . forced Rohr to take them across to the Rockland County side . . . However, within hours, Riordan and McGale were located by pursuing bloodhounds and taken into custody. Two outside accomplices, who smuggled the guns into the prison, were later identified and arrested. A trial was held in White Plains County Court in June 1941 . . Riordan and McGale were sentenced to death. Their accomplices received life sentences . . . On June 11, 1942, Riordan and McGale were executed in the death chamber, just yards away from where they shot and killed Correction Officer John Hartye . . . It was [Riordan's] 28th birthday. . . .
One of the most reviled killers to ever sit on death row at Sing Sing was a teenager. His name was Edward Haight. His shocking story . . . began in the tranquil village of Bedford in Westchester County. On September 15, 1942, two girls, Margaret Lynch, 7, and her sister Helen, 9 were seen getting into a Ford station wagon that was reported stolen in nearby Stamford, Connecticut. They were never seen alive again . . . 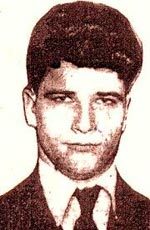 The very next day, a Connecticut state trooper was driving along a road in north Stamford when he observed Edward Haight, 16, drive by . . . When Haight was pulled over, police found a gas ration book from the stolen Ford station wagon in his pocket. He was taken into custody and soon confessed to the murder of both Lynch sisters. . . . Helen's body was fished out of the Kensico Reservoir. Margaret had been strangled and her body was located in the woods near the reservoir. . . .
Haight was charged with two counts of first-degree murder and locked up in the Bedford jail . . . . During the trial, which opened on October 29, both the prosecution and defense psychiatrists offered conflicting opinions on the defendant's sanity . . . . On November 5, Haight was found guilty of first-degree murder . . . . Deliberations lasted less than one hour . . . . He was taken immediately over to death row in Sing Sing. Ironically, Edward's father, Arnold Haight, once did four years at Sing Sing for a burglary back in 1932 . . . . On July 8, 1943, [Edward at 17] became the youngest person to be executed in Sing Sing's electric chair. His father was unable to claim his body and Edward Haight was buried in a plot of quick lime in nearby Peekskill. . . . . . . Sing Sing's roll call of the condemned includes . . . Martha Beck and Raymond Fernandez, the so-called Lonely Hearts Killers. . . [whose] shocking crimes, resulted in the deaths of 17 women . . . . During a lurid murder trial in 1950, crowds gathered daily outside the Bronx courtroom . . . . But [they] were not the most famous couple executed at Sing Sing. That distinction undoubtedly belongs to Ethel and Julius Rosenberg . . . Because they were convicted of federal crimes, the Rosenbergs were actually not prisoners of New York State. Found guilty of espionage and sentenced to death in 1951, Sing Sing was given the responsibility of their execution. . . . [They] were executed at Sing Sing on the night of June 19, 1953, the only nonmilitary prisoners in American history executed for espionage. The oldest prisoner executed at Sing Sing was Albert Fish, 66, a demonic child killer and cannibal who murdered 11-year-old Grace Budd in the City of Peekskill in 1928. Fish was a deeply disturbed individual . . ."What a thrill that will be, if I have to die in the electric chair," he said . . . . He received his wish on January 16, 1936 . . . . The last person to walk the "longest mile" was Eddie Lee Mays, 34, on August 15, 1963. He was convicted of the murder of a female bar patron during a robbery in Harlem in 1962. Throughout the 1960s, however, there was a growing dissatisfaction with capital punishment in America. . . . By the 1970s, there was an unofficial moratorium on executions in New York. In 1972, the United States Supreme Court ruled in Furman v. Georgia that the death penalty, as it was then applied, was unconstitutional. New York's electric chair was officially turned off . . . . 614 men and women were executed at Sing Sing. During the 1970s, the electric chair was dismantled and moved to Greenhaven Prison in upstate New York. Although it was kept in working condition for many years, it was never used again.